Accessories: column, bar, front and rear fenders, brackets, steel beams and glass PC boards, plastic floor, hot galvanized components. Application: suitable for 0-3 month old calves. 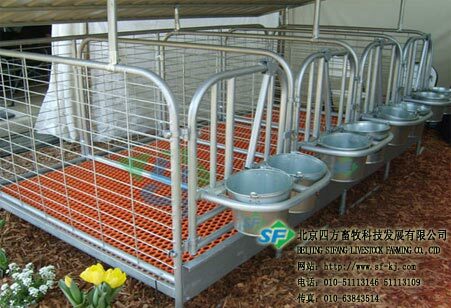 Advantages: easy to dismantle and products, plastic floor leaks can protect both the neat's foot, and easy to clean manure, to keep the column clean.